Many of us take for granted what makes our dresser’s drawers, fidget spinners, or other common items work. Bearings are in many of the things we use and are essential to their function, and it helps to have a basic idea of how they work before purchasing items such as drawer slides for your furniture. We want to cover two types of bearings: ball and roller. Regardless of what type of item a bearing is in, its general structure is the same. There is a ball or cylinder set within a ring, which allows force to be placed on the ball or cylinder (known as loading). Ball bearings usually contain multiple spherical balls that can handle both radial and thrust loads. With a roller bearing, the roller is cylindrical rather than spherical. The idea behind both types of bearings is to reduce friction and allow smooth motion. In ball bearings, a radial load means the bearing will rotate or roll under tension, while a thrust load’s motion depends on the force and the angle. The bearing in roller bearings reduces friction to allow for rotation of heavy radial loads and limited axial loads (not thrust loads). Roller bearings are often used for heavier loads than ball bearings, and as a result, roller bearings can be found in a lot of industrial and heavy equipment like pumps, turbines, and fans. Ball bearings are more common than roller bearings, especially when it comes to items you can find around your house. Examples of such items include wheels and hard drives and, of course, one of the most popular kids' toys of the year: the fidget spinner. There are a number of different types of bearings that you can have in your drawer slides. In general, ball bearings are considered to work better than roller bearings when it comes to drawers. They will likely cost more, but ball bearings provide higher quality drawer motion than roller bearings and are worth the additional expense. 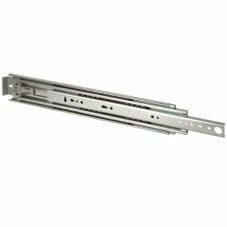 Wood or metal ball bearings are typically the highest quality and most desired when it comes to drawer slides, while plastic is a cheaper alternative. Wood ball bearings can hold very heavy loads and allow for smooth motion. 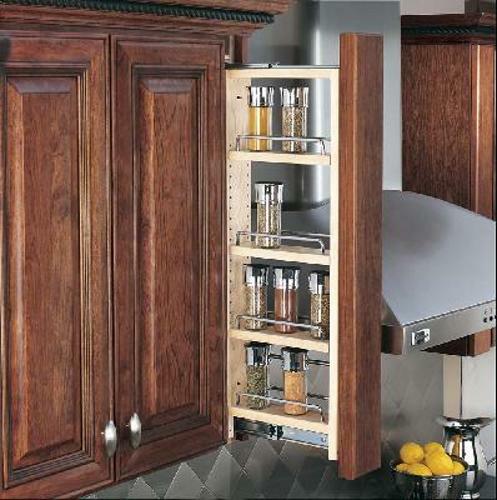 As a result, drawer slides with wood bearings are usually the most expensive option. The general consensus is that wood bearings work best, so many consumers choose drawer slides with wood ball bearings despite the higher price. Others choose metal bearings because they're cheaper than wood and they work well; however, they usually have a lower load capability. Plastic bearings are the most affordable, and they do accomplish the task of getting the drawer open, but it probably won't be as smooth and they will not last as long. They can end up breaking and needing to be repaired or replaced. You won't usually find plastic bearings in high-end furniture. When it comes to selecting the right bearings for the drawer slides on the drawers in your home, there are a number of options that work, but some choices are better than others. The ideal option for your drawers would be wooden ball bearings, with metal ball bearings serving as a sufficient substitute in some cases. While other bearing types are available for drawer slides, such as plastic roller bearings, they are not as smooth or reliable as wooden and metal ball bearings.